Prepping can be expensive. People have gone into significant debt in their quest to out run the Zombies. They let fear over take them, and before they know it, they have spent thousands and still aren’t sure if they have what they need to make it through the emergencies they are most likely to experience. 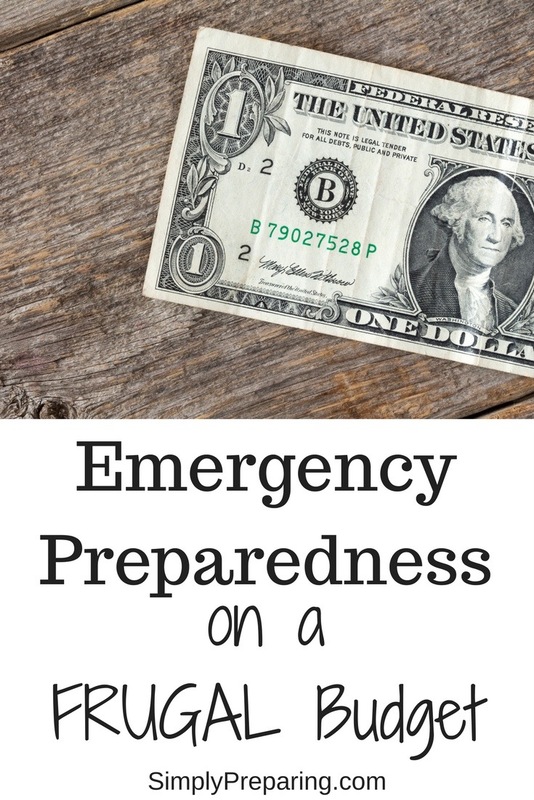 By creating a plan, we can save money buying emergency gear while adding only what we need to our emergency kits. The first question to ask yourself, is what are you prepping for? It’s called conducting your threat assessment. In reality it’s nothing more than simply sitting down and making a list of all the things that could cause life to get dicey. Do you live in an area where tornadoes, earthquakes, or hurricanes are possible? Is there a potential for your income to fluctuate, or for you or your spouse to lose a job? Do you care for someone with special medical needs? 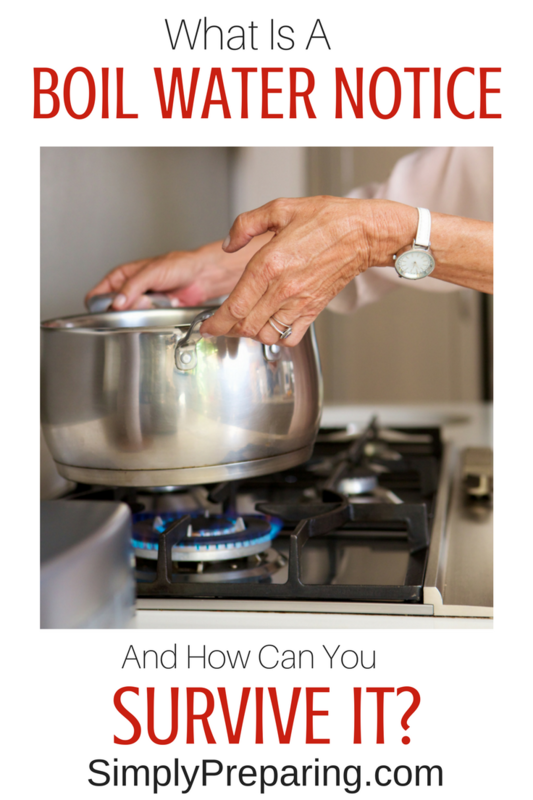 What would you do if your home caught on fire? If your water source became contaminated, what would you do? Can you make it through a prolonged blackout? What you prep for may look very different from what I’m prepping for. But we both can save money buying emergency gear. Out of all the possibilities you’ve listed in your threat assessment, what is the most important situation for you to be prepared for? That will be your first priority. As you prioritize your possible emergencies, you’ll notice that a lot of things overlap in regards to what gear you’ll need. When you mark that piece of gear off of one concern, you’ll be able to cross it off of another too. Take a look around your home. What do you have that you could live without? What do you have that is less important than the gear you need to get through an emergency? Ebay. Facebook yard sale sites. Local classifieds. Take your pick, but turn that stuff into cold, hard cash. Earn the cash you need by making some lifestyle changes. *Get rid of cable. Embrace Netflix or Hulu. *Menu Plan. Make a list of what you need for that menu and stick to it. *Give up a movie night. Do without the expensive coffee. Eat at home instead of going out. *Set up a car pool. Even if you are only able to cut back $20.00 bucks a month, that’s $20.00 more than you had before. Who Says It Has To Be New? 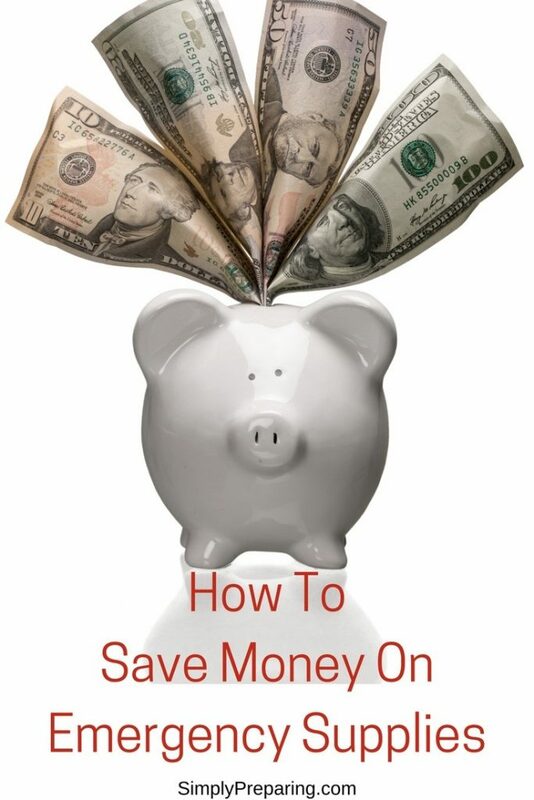 Another way to save money buying emergency gear is to buy used. Look on the same places that you sold your stuff to find the new stuff you need. Don’t forget thrift stores and yard sales! 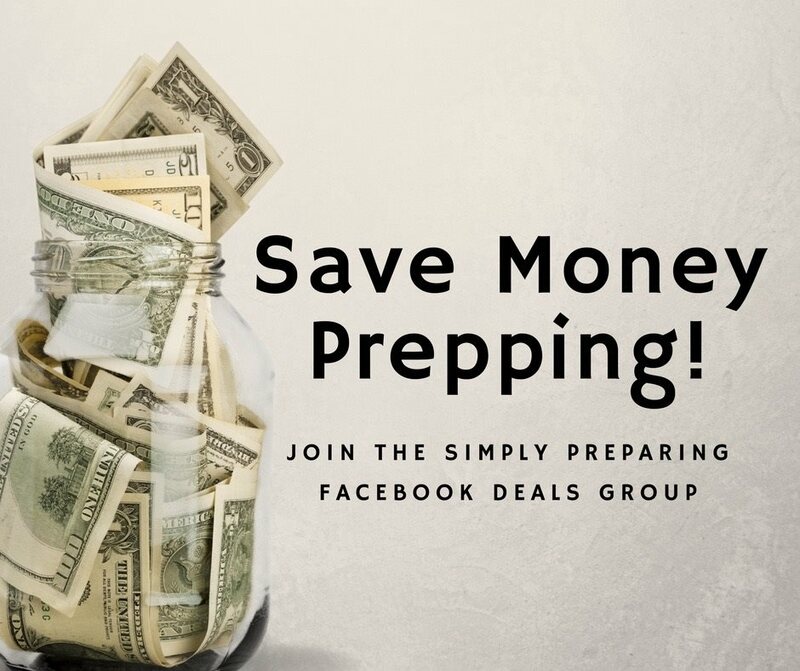 Your friendly hosts here at Simply Preparing have started a Facebook Group where we share GREAT deals and ways to help you save money prepping. We’ll also find support regardless of where you are in your prepping journey. Come ask your questions, share your stories and bring a friend! Emergency preparedness is about making small, consistent steps in your ability to see your family through an emergency. Don’t get caught up in the hype. He who dies with the biggest bug out bag, really doesn’t win. 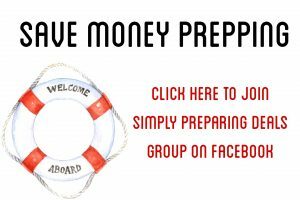 As I write this post, parts of the country are either flooded or fleeing the path of Hurricane Irma. Other states, Oregon, Washington and California are on fire. 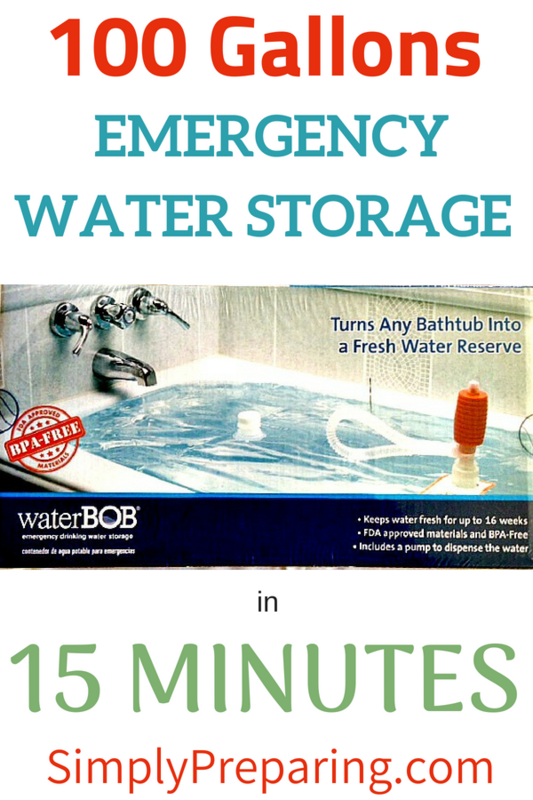 If there was ever a time to begin preparing your family for an emergency, now has to be it. 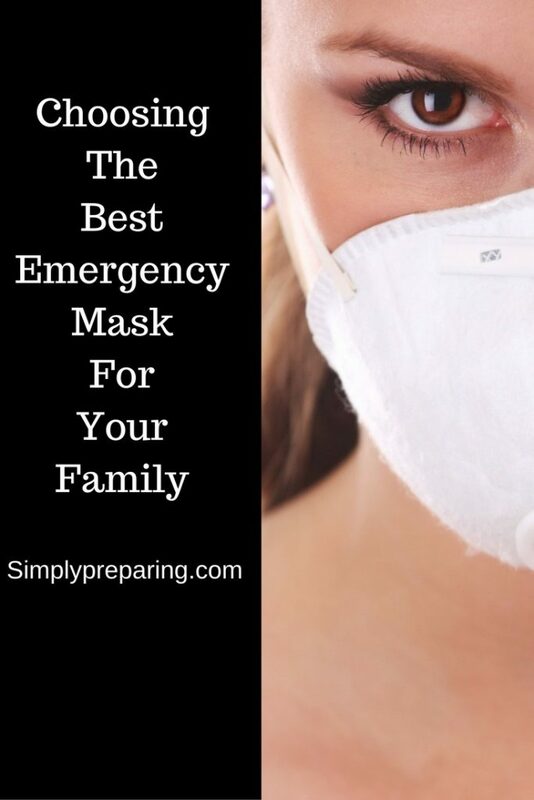 One item that should be in every family’s preparedness kit is an emergency face mask. Which Type Of Emergency Face Mask Should You Buy? 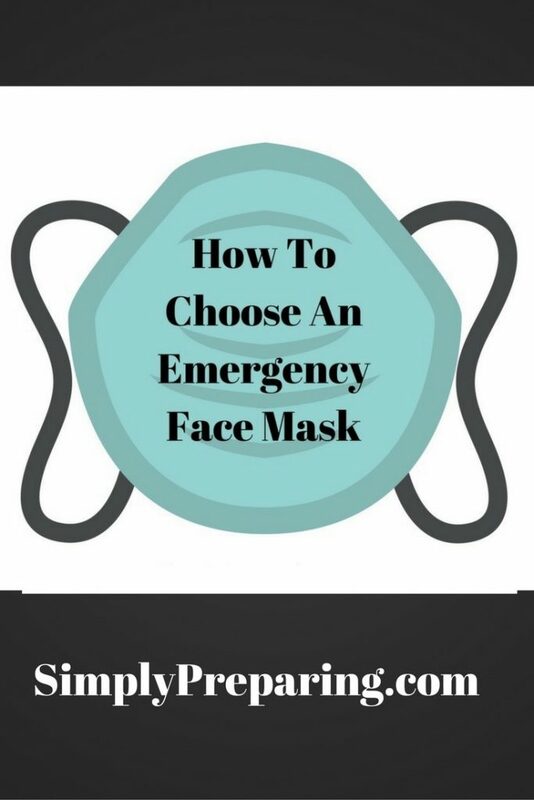 Let’s run through the different types of emergency face masks and their best uses. The lowest level of protection is the humble *this post contains affiliate links dust mask. Inexpensive. Disposable. It’s the sort of mask you would need to protect against pollen, household dust, cut grass. It is NOT NIOSH approved protection. It’s really not going to offer much protection, and the only reason I mention it here is to help you tell the difference between this and a particulate respirator mask. A better choice for an emergency face mask is a particulate respirator, an N95 or above. These are the types of masks suggested a few years back when the Swine Flu and Influenza were such concerns. These filter 95% of 0.3 micron sized particles. Particulate respirator face masks conform a bit better to your face, unless you have a beard. These masks give you more protection from microscopic particles in the air. The N95 masks can be found with ‘cool flow valves’ that help to reduce heat build up, moisture, and fogging, all of which help to make breathing while wearing this mask easier. Because N95 masks are NIOSH certified, which means the respirator has passed stringent government performance standards including filtration efficiency testing and provides at least 95% filtration efficiency solid and liquid particles that do not contain oil. N95 masks have been a popular choice for protection from the smoke from fires, city pollution, viruses (H1N1, etc.) and allergies. Newer on the market are masks like the Cambridge Mask, which is a N99 mask. More expensive, but reusable, Cambridge Masks provide protection against gases, smells, all PM; PM2.5, PM0.3, pollen, smoke and pathogens such as viruses (99.6%) and bacteria (99.77%). Filters used in the Cambridge Mask meet the N99 standard (higher than N95). This is a US Government specification for pollution masks. Cambridge Masks have been independently tested by Nelson Labs, USA which confirmed almost 100% of particulate pollution, bacteria and viruses were successfully filtered when tested. We have also tested to meet the standards for Chinese NK-95 and Korean Food and Drug Administration requirements. The masks use a triple-layer filter system which will protect from a range of airborne contaminants. Please, check the specs on ANY emergency face mask purchase you make. PRO TIP: Remember viruses are transferred not only by touch, through a sneeze, these bugs can also enter through your eyes. Good hand washing and keeping your hands away from your face is important. Should You Buy A Respirator? Next up, Respirators. These provide at least 95% filter efficiency against solid and liquid aerosols as well as some organic vapors. It will filter pesticides and some viruses too. Basically, you get a much better seal with this type of face masks, which offers better protection. If you want to amp up this protection add a pair of safety goggles. Respirators work well for those with serious breathing problems, allergies, and a need to be protected from bad smells. Think of it as a really jacked up version of the paper N95 masks that can also filter out strong odors. PRO TIP: At around $30.00 a pop, respirators are a great choice for protection. But make sure you pay attention to the SIZES they come in, usually Small, Medium, and Large. The effectiveness of any face mask depends on how well it fits. Full Facepiece Respirators provide a good seal around your face, AND protect your eyes. More expensive, but if this is a big concern for you, worth every penny. Another choice you may want to consider is the ReadiMask, a single use, full face respirator that uses medical grade adhesive to create a secure barrier to your face. What Face Mask Should You Choose For Mold Removal? Let’s face it. In the aftermath of a hurricane, a lot of people are going to be dealing with a lot of mold. You are going to need a Mold Remediation Respirator kit. Mold is nasty stuff. Don’t try to use a paper face mask or simple respirator for this job. When Are Gas Masks A Good Choice? Considering today’s world events, there is value in a good gas mask. Again, it’s all about your personal circumstances. The Israeli Gas Masks also run in the $30-40 dollar range. Pro Tip: Regardless of which face mask you choose, wearing them is a bit of a learning curve. They are uncomfortable and can look scary on, especially for children. Take some time and practice wearing your masks BEFORE an emergency. 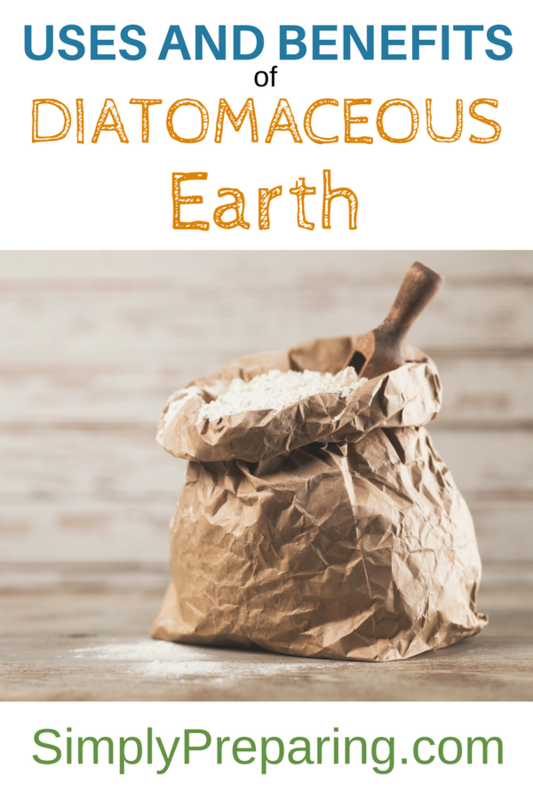 What face masks do you have in your emergency supplies? What type do your pack in your 72 kit? 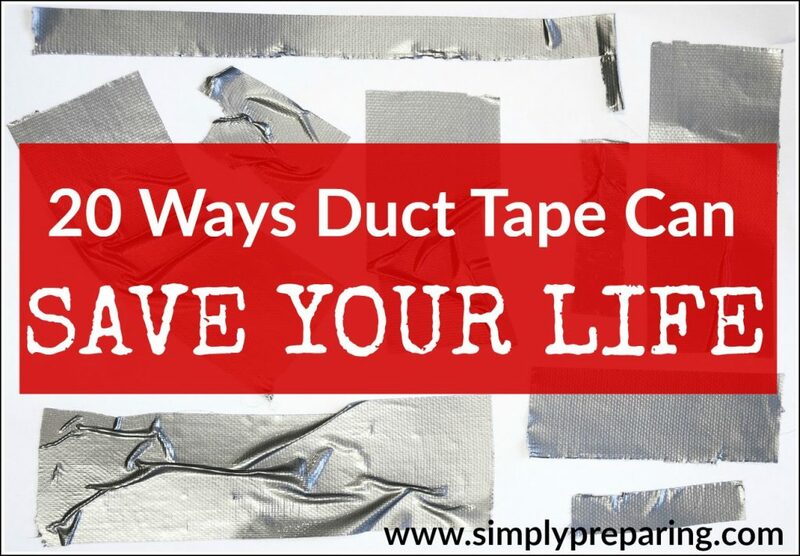 Duct tape has become indispensable to Preppers due to it’s uncanny ability to fix just about anything. 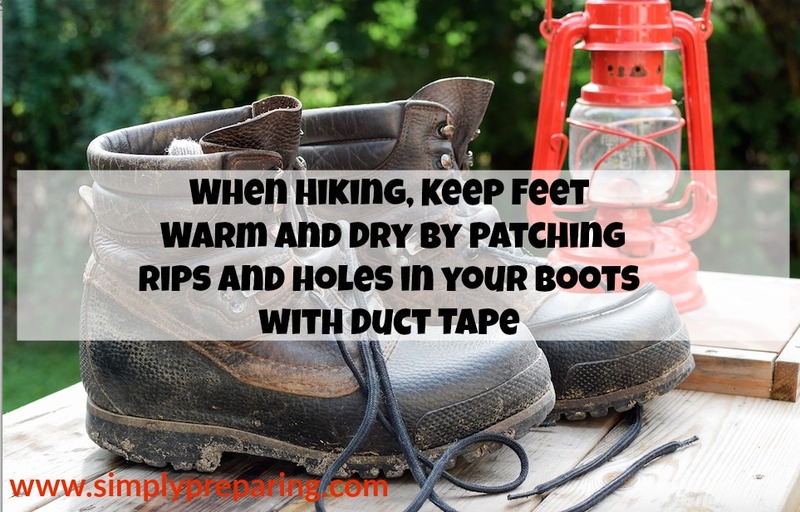 Stock up on duck tape and you’ll be prepared for everything from first aid emergencies, to clothing repairs, to finding your way back to base camp. Concerned about the bulk and weight of duct tape in your BOB? 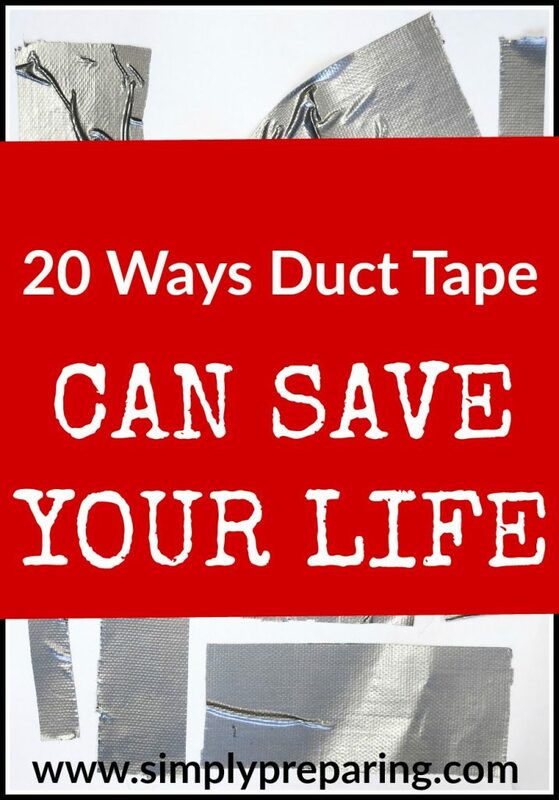 Check out *this post contains affiliate links this FLAT duct tape! Sling for a broken arm: Fold a long strip of duct tape in half down the middle, so there is no longer a sticky side. You now have a strip sturdy and flexible enough to use as a sling for a broken arm. Stabilize a broken leg: Using sturdy sticks as splints, use the duct tape to hold the splints in place. First, lay sticks on either side of the injured leg. Then hold it all together by wrapping duct tape around the sticks. 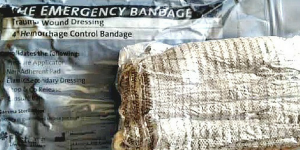 Secure a bandage: Place a sterile dressing over the wound, and strap it in place using duct tape. This will also create a water proof barrier. A piece of duct tape can also be fashioned into a butterfly suture. Make shift mole skin: Cover the blister and the area around it with a bit of cotton gauze from your first aid kit, then place a piece of duct tape completely over the cotton gauze. Make sure that the duct tape doesn’t touch the blister! Create a Pandemic Seal: Use duct tape and plastic sheeting to seal a room from the spread of pathogens. Repair shoes and clothing: Who needs a sewing machine? Did you know this miracle tape come in transparent? Fix your broken glasses: We won’t tell the Fashion Police, pinky swear. Patch up your rain gear: Duct tape is water proof! Line the inside of your boots to keep the cold and wet out too! Keep the creepy crawlies out: The zipper on your tent busted? 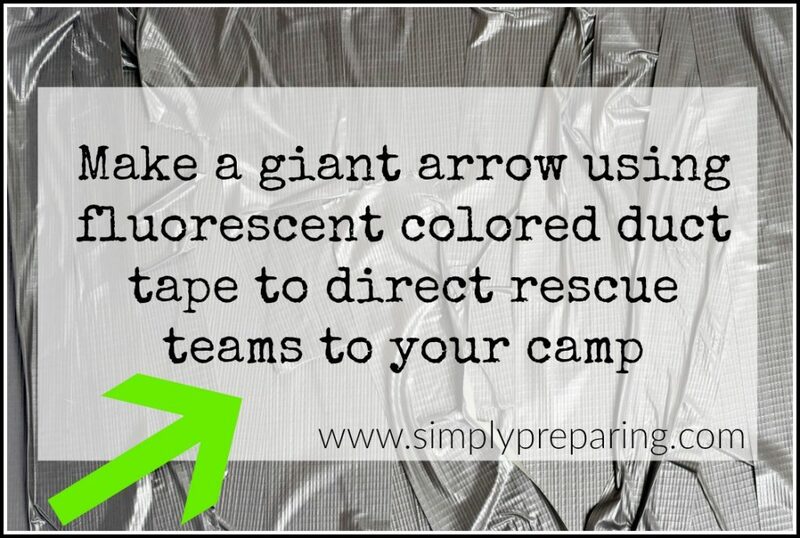 Use duct tape to keep the door to your tent closed. Have a hole in your sleeping bag? Duct tape to the rescue! Splint a broken tent pole or fishing pole. Tape a stick to the broken part of your tent pole or fishing pole. It won’t be a long term fix, but it should see you through the current need. Create Emergency Shelter. By duct taping together a few of your contractor grade garbage bags together you can fashion a simple survival shelter . You can also tape branches together and then stretch out and duct tape the garbage bags to those to help provide a wind break/simple shelter. Fix a broken window screen. Mend a cracked water bottle: After making sure the outside of your bottle is completely dry then cover the crack with a piece of tape, and then wrapping the tape around the entire width of the bottle. Get your car back on the road! Duct tape can be used to repair leaking hoses, hold up a bumper, patch the roof, etc. Cover tears in vinyl siding: Apply when the siding is dry, making sure to smooth the duct tape down well. You should get at least a season out of this hack. Mark a trail: Need to find your way back from where you came from? Wrap duct tape around tree trunks along your route. Just remember to make sure that each tree is in sight of the next one. Signal for Help: Make a giant arrow pointing to where you are, or create a giant S.O.S. Fluorescent colored duct tape or reflective tape would work the best for this. Use as a fire starter: Wrap tape around a bundle of dry lint and then cover the outside with char cloth. Makeshift torch: Wind the top of a large branch with duct tape and light it up! In the comments below, share YOUR favorite ways to get yourself out of a jam with this wonder tool!